Capturing the magic of Christmas with this festive promo, featuring the wonderfully festive side to Michael Frank Jewellers in Wickford, Essex. Showcasing the variety of Christmas related products was the main focus in this promo we shot and edited for a local business. it all comes together nicely with the highly festive and playful music to create a real feel of festive fun. A corporate profile video shot for a Chiropractic client of ours. These short promos are designed to feature on the team pages of the website as well as for social media use. It’s a great way for potential clients to meet the team before they even visit a clinic, conveying the friendly and knowledgeable chiropractors. A product promotional video filmed with three-time Olympic Swimmer for Team GB Ross Davenport. Filmed on location at Hotspring World’s Sevenoaks showroom in Kent which features the largest outside wet display of swim spas in the UK. The day was a special one for everyone concerned and something Nick and Holly can now look back on for years to come. We had a great time both filming and editing this film, every Wedding is different and unique to the couple and we love the challenge in brining that individuality out in every film we produce. Music video for the very talented up and coming Katy Forkings. Shot on location at a retro furniture store in Essex this video really came alive from the initial storyboarding through to the final edits. The story behind the song really struck a chord with us literally so it made bringing it to life very satisfying indeed. Promo video for a local art business which has been operating since 2012 to bring their passions of art and computers together and create a shop that serves the community and provides a hub to the local art & craft community. With a small budget we were tasked with bringing the business to life for a new audience online using video. Filmed at Creeksea Barns Disc Golf Course in Burnham, Essex. This video now forms a major part of their promotion to pull in new interest. This was probably one of the hottest days ever so a big thank you to everyone who helped us out to film this. A fun sport and a great venue to go and enjoy a lovely day out in the fresh air! The edits below were used for social media advertising and promotion as well as used on loop in TV’s set around the grounds of Creeksea Place Barns to encourage people to give Disc Golf a try. We both had great fun filming for Louis and Jade on their big day, brilliant fun at a lovely venue with a great support team. A challenging shoot with an early starting having some distance to travel to capture the groom then the bride getting ready, knowing the couple as we did there was only one way to edit this, to give both of them their own style at the beginning then coming together for the ceremony. Every Wedding is all about capturing the couple and expressing them! Filmed at the Western Homes Community Stadium the home of Colchester Utd Football Club, the promo was designed to cover a pitch hire match which is offered to the general public once all fixtures have been completed for the season. We filmed it in the style of a high tension highlights reel of the game. There are a couple of different edits here which were produced for social advertising as well as for use on their website and news articles. Luckily we managed to be in the right place at the right time for some of the many goals scored that day!. Promotional video created for Hotspring World the UK’s leading name in hot tubs and swim spas. This promo is designed to give the audience a taste for what is on offer at the showroom as well as an overview of the products available. The garden centre also features to highlight the services available to people visiting. Just let us know a few details below and one of us will get back to you within 24hrs.  ©The Film Boys 2018. All rights reserved.